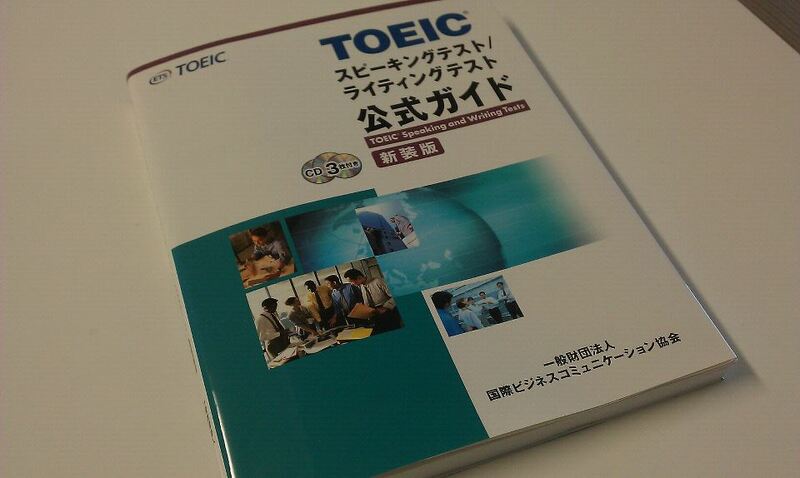 Today(April 7) I'll be taking TOEIC Speaking and Writing Tests at Tachikawa, the next stop to my nearest train station. I've been preparing for the test with this offical guide. I'm not sure if I can get the perfect score of 200 in each section, but I'll do my best. This is the year I'll focus on expressing myself in English. After all, the ultimate purpose of studying English is to speak and write the language, in my opinion. But we tend to procratinate such communicative efforts, don't we? That's why I decided to take this test. See you later. Wish me luck!